An interview with J. Barlow Nelson, 1953 US Novice Mens Champion and International Judge. He explains how judging works and gives opinions on the 6.0 vs IJS systems. 1 hour, 4 minutes, 53 seconds. On his most embarrassing skating moment: It happened at the Nationals in Denver which was the Olympic qualifier for 1988. In the Senior Men’s free skating finals, I was the last judge on the panel, judge number 9. And Brian Boitano had the best marks for free skating on my card, 5.8, 5.8, pretty good marks. Unbeknownst to me, all the other judges marked it 5.9, 5.9. So as the announcer was reading off all the first marks, 5.9, 5.9, he gets to me, 5.9. “BOOOOOO”. On the second mark, 5.9, 5.9, and he gets to me, 5.8, and the place just [went] “BOOOOO” [laughs]. Even my own brother was booing me [laughs]. It didn’t even matter, because he was first on my card. I think it was just so outstanding and off the wall that they noticed. On the start of his skating career in Tulsa, Oklahoma: Every year the Tulsa Figure Skating Club had a program called Icestravaganza, and it had a live orchestra and all the things that go with a really first-class presentation. And the curtains that we used were from the original Ice Follies [which started in Tulsa]. Carlo Fassi was there for a time, with Dorothy Hamill, and Wally Sahlin and his wife Norma. It was with Wally that I won my very first skating competition, in 1950. Wally was a grand gentleman, and was always one of my favorites. In today’s lingo we would call him a mentor. He was a wonderful person, and Norma was too. We had a good time. On being coached by Maribel Vinson Owen: The rink in Tulsa burned down, so my mom and I moved to Colorado Springs. The first coach I had there was Eileen Seigh, and she took me through my national novice [championship]. Then she became pregnant and had her baby, so I switched to Edi Scholdan, and I skated with Edi for two years until I graduated from high school. Then I was accepted at Dartmouth College, so my dad and I were looking for a nearby coach, and we picked Maribel, which was a grand choice. She was a wonderful lady, not just an excellent coach, but a lady in all respects. On the ice she was a real stickler, but very fair and very firm, and certainly knowledgeable. And I learned her system of doing figures. I think my high point with Maribel was the day on the ice at the Cambridge Skating Club when she was doing all the photography for her book The Fun of Figure Skating. I saw Maribel in a totally different light than I had seen her before. She was Phi Beta Kappa at Radcliffe, she was a journalist, and on that day I saw Maribel not as the skating coach, but as the writer and the journalist. Her look was different, her demeanor was different, and she was having a good time. It was the most enjoyable day I can remember on the ice. And on the weekends during the skating season, I would stay in her house. I’m sure Frank Carroll and Ron Ludington would have their household tales too, but those four women, plus they had a maid named Flossie — it was bedlam, but it was very intellectually stimulating as well. Immediately adjoining the dining room was the trophy room, and many times Maribel would take me in there and tell me a story about a medal or a trophy or a picture or something. But the tales of living with those four women and with Flossie — they were fun [laughs]. On the end of his competitive career: My last competitive year was 1960, at the Nationals in Seattle. I was actually an ensign in the US Navy. I had graduated from Dartmouth and gone to officer training school, and was given permission by the Secretary of the Navy to compete at the Olympic trials in Seattle. The under-secretary at the time was a member of the Skating Club of Boston, so it helped. So when I didn’t make the Olympic team, I had orders off to sea, so there I was. On how he heard about the 1961 plane crash that killed the entire US figure skating team: It’s kind of an emotional story, but in the navy you stand watches, and one of them is called midwatch, which is midnight to 4 am. And I was just standing there, not much to do, and the ship is all by itself and nobody around, and the little signalman came up to me and said, Mr. Nelson, weren’t you involved in the sport of figure skating? And I said yes, and he said, I think you might like to see this, it just came in on the skids — kind of like a telegraph. And I took my red flashlight and looked down the list, and it was from Brussels, Belgium, [and I knew] everyone on the list. I actually asked to be relieved, and had to go down to the boardroom and have a cup of coffee before I could go back again. I still think of that night. All my friends, my competitors, were on that plane. It was a very tough moment. I didn’t go to all the funerals and things that all the people in the States did, because I was on a ship in the Mediterranean, but I was thinking about them. It wasn’t easy. On beginning his career as a judge at age 18: The decision to become a judge was not a conscious one on my part. In 1955, when I was training with Maribel, I was working on my gold medal test, and during our lessons we’d walk around after and evaluate them. And she would ask, what mark would you give this figure? And one Saturday, she said, oh, by the way, I signed you up to trial judge on Sunday. So I did [laughs]. And every time there was a test session that summer, the kids were at the beach and I was in a cold dank arena trial judging. On his qualifications as a judge: I judged singles and pairs. During one of those long summers, in the arena in Lynn, Massachusetts, I thought, well, I’m going to be a dance judge. And they had 53 bronze dance tests, and I judged all 53. And somewhere between the Lynn arena and Tulsa the test sheets got lost. The man at the Lynn arena said he sent them, and they never arrived. And I thought, I’m not going to do that again, that was painful [laughs]. So I left the dance judging to my brother. I did pass my silver dance after my sixth try at the Paso Doble. The comment of the judge was always, you freeskate this dance [laughs]. On how a judge progresses through various levels of qualification: The USFSA webpage has a wonderful explanation of how you line up with a monitor, how you sign up to trial judge, and all those technicalities. But you don’t realize the amount of time, the duration of each test session to get the next appointment. It’s a long time. I was lucky when I started, having been a skater. When I retired from skating I think by then I was judging at the intermediate level. But to get from there to the national level was quite an ordeal. Back then when you were trying to get a national appointment you had to judge X number of eighth [figure] tests, and we didn’t have that many skaters at that level in Tulsa. So I got a lot of my eighth test experience at the Wagon Wheel in this area [Illinois] which I was grateful for. A lot of people spent a lot of money and time going places to try to get the prescribed tests. And if you are judging at the same time that you’re trial judging, one stacks on top of the other. It can be very time-consuming and can require a lot of patience from your family [laughs]. And it’s unpaid. There’s no reimbursement for that unless my [travel] expenses were paid. And a figures session is very time-consuming to judge. It could take three days, going right through preliminary to eighth tests, and it’s a long day. On whether it’s true that judges have to dress a certain way and know the right people to progress: I’ve heard those rumours but I was not conscious of it in my progression up the chain. I never felt compelled to dress any particular way — the rink’s cold and you put on a coat [laughs]. And suits or ties or whatever, for ordinary social events, were just kind of expected. On the benefits of judging: For me, the primary perk is the association with the people. And when I gave a talk saying goodbye to the judging world, I said, and I think it’s true, that there is no goodbye, it’s ‘I’ll see you at the next competition’. And that’s kind of a bond that you build with your fellow judges. And over the year, I knew a lot of the coaches because several of them were my contemporaries, except now I was on one side of the fence and they were on the other. And they never minced any words about what they thought about what I’d done, and I’d tell them, well, your skater put his foot down [laughs]. It was always done in a friendly sort of way, but I don’t ever remember getting yelled at by anyone, except by an irate mother one time. And more on the international circuit, anytime you’re the guest of a federation or an organizing body, they would — you’d have a judges’ dinner at a city hall, or in a cave in Prague, or in a grand palace in Russia. And those kinds of things I was able to experience because I was a judge. There was no quid pro quo, it was, you’re here, we realize the sacrifices you’re making to be here and we want to treat you well. And I had some wonderful trips, to Russia, to Japan. My expenses were paid, but I would take my wife. And as a solo practitioner in law, vacations were rare, so if I was going somewhere like Moscow, we would go to Copenhagen or some place like that a few days beforehand, to get over the jet lag and relax because the next few days were going to be all work. Some of the minuses were the long hours. I’ve been to the city of Omaha, and I couldn’t tell you what Omaha looks like. I arrived after dark, they had me up before sunrise, I judged all day, and got back to the hotel after dark. This went on for three straight days. I had an early flight on the last day, before sunrise. I never saw the light of day in Omaha, Nebraska [laughs]. On whether judges enjoy the skaters’ programs or just think about the marks: I was on the panel when Rudy Galindo was skating [his senior men’s long program] in San Jose in 1996. And I had judged Rudy many times before, and I just love his skating. He’s got those wonderful knees, he’s kind of catlike when he jumps, and just a wonderful spinner. And I liked Rudy, but many times at some point in the program he would fall, or just do something that would destroy the possibility that he would win. And there we were, two-thirds of the way through the program, and Rudy was doing this fantastic job. My heart was probably pounding harder than his was. I just put my pencil down and just sat back and enjoyed it with my fingers crossed. It was a spectacular once-in-a-lifetime thing, and I was so glad to see it because it turned his life around in many, many ways. 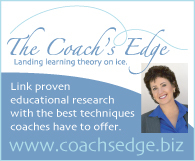 On acting as US team leader at the 1981 and 1982 world championships and the 1984 Olympics: In a nutshell, a judge has to be unbiased and objective, and a team leader’s job is to be biased and to do everything in favor of your skaters. We had a rule of thumb that we would do anything and everything to reduce to zero anything that would distract from a skater’s performance. So we were in charge of rooming, making sure that the food was adequate, medical. And I remember one year that I had to kind of push a little hard to get our own American doctors to the world championships. Prior to that we would share a doctor, from Germany or somewhere like that, but I remember in Copenhagen we had Dr. Howard Silby as our own team doctor, and that was the first time that ever happened. And you’re just the mom, just the dad, and I’ve had some wonderful experiences with just calming them down, making sure they’ve got a good rooting system on the side to show that someone really cares. And to let them know about a change in the schedule, to make sure they’re on a bus on the right time. Or if they’re a little late, holding the bus if you can do it. Some of the bus drivers in those European countries, if it says to leave at 1:01, they leave at 1:01, not 1:00 or 1:02. And you’re also the official representative of the US Figure Skating Association, so if there’s any protests to be filed — back then, you had to have 50 Swiss francs in your pocket to file a protest, and I always went to a competition with 50 Swiss francs in my pocket. I’ve heard some terrible horror stories about [skaters partying], and I’m sure you’re aware of the skaters that seem to be the target of that, but I had a wonderful experience with first-quality children and young adults, and parents. And I never had a major problem, that I was aware of anyway, with discipline. Keep in mind that these kids are so focused, and at the international level a lot rides on their conduct, whether they get to go again. So I felt very honored and very pleased that I had such wonderful skaters, that discipline was never a problem. They have their temper tantrums on the ice once in a while, but that’s not the team leader’s fault, that’s the coach’s problem [laughs]. On whether having been a skater helps a judge: No particular person comes to mind who wasn’t a competitive skater, at a high ranking or national level. I can see where it is an advantage. You can certainly learn it from off the sidelines, but the process is probably a little longer because they need to learn the nuances. 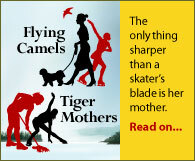 A skater has done it, they know what it takes, they know what it feels like to fall [laughs]. On interacting with skaters while judging: People think kind of devious, so I tried to refrain from those kinds of conversations with the skaters. But afterwards, I told you earlier about the kid putting his foot down, I went up to him and I said, you put your foot down, and he said, I know, and I said, well, why don’t you tell your coach?, and he said, well, I didn’t want him to know. But the skaters do kind of become your friends, over 52 years [laughs], and particularly those skaters you’ve traveled with as a team leader. There’s a kind of camaraderie. On becoming an international judge: My first international competition was in 1983, in Ottawa, and I will never forget that because I was out there with these pretty high-caliber people, and here’s this brand new little American judge. And they still did figures at that time, and it was the only time I ever dropped a clipboard in 52 years [laughs]. I thought I knew a lot about skating, and I was fairly certain about my opinions and my marks. And in the judges’ meetings, the critique meetings, at the international level I always felt I was a school child being chastised. It wasn’t a positive experience. I did not enjoy it. It was intimidation, and not at all helpful. On the USFSA giving Tonya Harding a lifetime ban: It’s hard for me to be objective because I found her to be a delightful young lady. I traveled with her twice, once to Russia and once to Japan. Maybe I got along with her because I was a father figure — her coach told me that one time; she said, the only reason she won the Moscow News [competition] was because you were her biggest fan. As far as the severity of the punishment, I think given what has since transpired in the sport — non-USFSA, these made-for-TV things and stuff – I think Tonya would have done us all well by participating in those, and I guess in that regard I’m saying that the punishment was too severe. But that’s colored by the way that I saw her. Many people saw her in many different lights and many different circumstances. But in my experience she was a delight, and she was a fantastic athlete. On whether bloc judging existed in the 6.0 system: I can see how it could happen, yes. I can remember sitting between two judges, and I did understand enough of their particular language to know numbers. And I heard them discussing this number and that number. But I didn’t know what they were saying, and I have no way of following up. I’m not sure that any of the Americans participated in it, not that I know of. I never participated in any deals and I was never approached. On the judging scandal in the pairs event at the 2002 Olympics: I watched [the long program] on television, and I agreed with the outburst of Scott Hamilton, that this was unbelievable. It was so obvious that the Canadians were the winners, and it didn’t happen. I didn’t understand how it couldn’t happen. That was my reaction, that there must be an error somewhere. I can see how [the predetermined results] could have happened, given some of the people involved, the French association. I was a little surprised that [the French judge who confessed to the deal] was that lady — I’d judged with her several times, and she didn’t have to do something like that. She was a rather wealthy lady, well thought of, and I just couldn’t understand — why her? On his decision to retire from judging a few years after the new judging system was implemented: It primarily had to do with the free skating. If I never see another forward inside sit spin, it would be just fine [laughs]. The creativity gets lost when you have to chalk up the points, and to me the inside sit spin is the epitome of the repetition. I think I’ve seen one skater do four inside sit spins in the course of a program, and I figure there should be variety in the programs. That’s my principal criticism of it. I tried to adapt, and at one point I tried to become a caller, but I think making those decisions invades the premises of the judges. To split the two of them up between the technical caller and the judge, what’s the caller supposed to do, what’s the judge supposed to do, I still think it should be the judge that makes those decisions. I thought there probably were some abuses that the judges could have been involved in [in] the old system that maybe they can’t now, but I never investigated that far. [The caller] now has more power than a panel of nine judges. One judge could [downgrade a mark] and it wouldn’t have the effect that it does of a caller doing it. And I really don’t enjoy watching it now because of the repetition. As far as a beautiful well-choreographed free program with beautiful edges and wonderful speed — I just don’t see that as much as it used to be under the old system. There ought to be some prohibition against doing one thing four times in a program, and I don’t know how you legislate that in or out, other than putting it back to the discretion of the judge. To feel the need to build points, and you see some pretty sloppy stuff in the need to build points. And I just don’t go along with that because it takes away the beauty of the sport and the creativity of some wonderful, wonderful skaters that are out there now. But they have to do these weird things just to build up points. On his own skating now: My tricks are backwards and forwards. I tried a spread eagle the other day, and thought, you know, I don’t want to end my career with a broken hip [laughs]. So I took off my skates and called it a day, and I haven’t decided whether to go back yet. The Owens’ former residence is a historic landmark. Hey Allison – excited to see this interview highlights (just on my phone on my lunch hr) and can’t wait to listen when nome tonight. Barlow was a judge when I was a kid skater at the Tulsa FSC. Now I need to see what tests of mine he judged! Reposted the link on my FB wall and also emailed the link to my non-FB Tulsa skating alums! Home now and enjoying the podcast. I feel very lucky to have skated and tested at the Tulsa FSC when they were located at the Williams Center Forum downtown with both Hugh Graham and Barlow Nelson as our judges. Thanks again for the interview!